1. 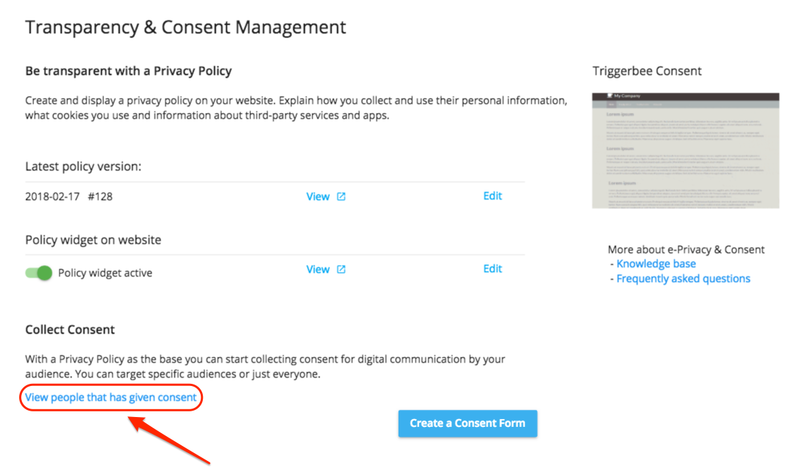 Navigate to Consent in the Triggerbee app. 2. Click on "View people that have given consent"